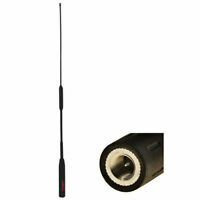 COMET HT-224 HT Antenna TriBand 2m/1.25m/70cm, SMA, 11"
Hustler G6-144B- 2 Meter Vertical Base/Repeater Antenna. * * * * * Five Stars * * * * * Super fast shipping ! ! ! ! ! Great item at a superb price. Fast shipping. 1A++++ EBAYer. Fast delivery, good product. Thanks until next time. 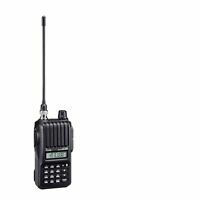 Excellent tri-band handheld amateur radio! 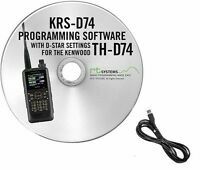 This is an EXCELLENT upgrade to the TH-D72A that I still have!! 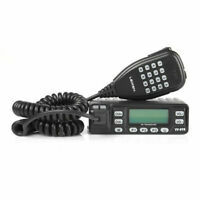 It has all the same features PLUS another band to transmit on!! 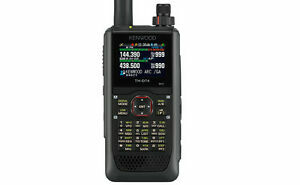 (220mHz) AND the dstar digital mode also!!!! My only minor complaint is I'd like a little higher capacity battery from the factory! But if that's all then that's not much to complain about!! The radio itself is extremely capable, the only thing is a part of the keypad started to unstick and the volume wheel squeaks a bit when turning it quickly but just a bit of glue and oil fixed everything. The best HT I’ve over used! Excellent radio. Audio quality, transmit and receive power, form factor and build quality are all top notch. No complaints whatsoever!